We are delighted to be hosting our One Day Wine Course and Discovery Day at Missenden Abbey, Great Missenden which you can attend just for the day on a Saturday or with an overnight stay to make a weekend of it, see Weekend Wine Tasting Breaks. The Saturday tasting lasts from 10.30am to 4.00pm with 16 wines and a 3 course buffet lunch. Its a great opportunity to learn about wine in a relaxed and informal setting with like-minded wine lovers. The day is good fun all round as well as being educational and great value for money too! We can also host a private wine tasting experience at your home for a group of 10 or more friends and corporate events to entertain clients and staff. If you are buying this as a gift you can purchase the One Day Wine Course/Discovery Day as an open-dated gift voucher so that the date can be booked after your gift has been received. We'll automatically email you a link to the voucher to print out or we have printed gift vouchers that we can post to you or the gift recipient for £2 (select on check out). If you wish to book a specific date simply select the date below to book online or call us to book on 020 8288 0314. We run our Saturday tastings at Missenden Abbey as a one day course or as part of a weekend break. The day wine tasting course combines 16 wines to taste during the day with a buffet lunch at £89 per person. If you prefer to make it a weekend break, the price is £159 per person (based on two people sharing a double room) and includes a full day tasting wine, Saturday night accommodation, lunch and dinner, with breakfast Sunday morning before checking out. If booking a single room there is a room supplement of £30, please contact us directly to book. There is plenty of parking should you choose to drive and it's a 10 minute walk from Great Missenden train station, a 40 minute journey from London Marylebone. For more information about Missenden Abbey click here. The start time is 10:15am for a prompt 10:30am start. We run regular Saturday daytime and weekday evening wine tastings in London. The weekday evening tastings are best suited to those working in London, but many take the train into London from Buckinghamshire for the Saturday tastings. All of our day or weekend courses make brilliant wine tasting gift experiences. If you are looking to go out restaurants with private rooms are a great place to have a wine tasting followed by a meal. We have worked with a number of venues in Buckinghamshire that we are happy to recommend. The list below highlights our most popular Buckinghamshire wine tasting venues, to see our full list of venues across the country please go to our venues page. 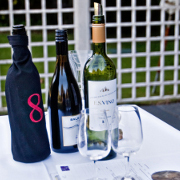 Buckinghamshire is a popular location for wine tastings and we have a number of our team that cover the area. Typically the travel varies depending upon where you are in the county, but usually there is either no charge or around £20 to £30. This is subject to availability so please get in touch with us if you would like to know more or check availability.